This novel can be dark, there are blood and guts a plenty, and it encompasses everyone in Blackstone’s life (no one is safe), yet the author writes his scenes so powerfully it literally drags the reader from being sickened to heartbroken to utter relief and from page to page as fast as reading allows. Its that’s level of writing skill that helps this book stand apart from the crowd. 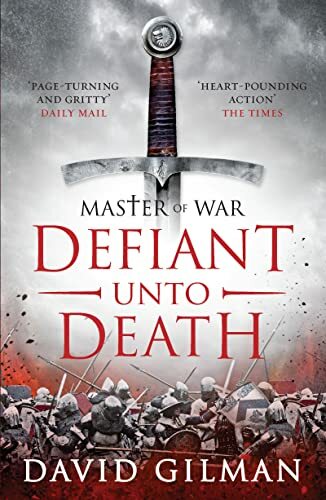 The setting of the 100 Years’ War gives the author so much fodder for action and adventure, and with the jaw dropping back drops both scenic and historic, Gilman plays them like a maestro.